Bay area doom outfit King Woman are prepping for a big 2017, as they’ve formally announced their debut LP. It’s called Created in the Image of Suffering, and it’s due out on February 24 via Relapse. They’ve shared the first song from that album, a thundering doom crusher called “Utopia.” You can listen to that here. King Woman have some tour dates coming up behind that album in 2017, including one in NYC. They’ll be at Saint Vitus on March 14. Tickets for that aren’t yet on sale, but should be available soon via ticketfly. King Woman were also just announced for Roadburn next year, joining another new round of bands that have been added to the already-great, John Baizley-curated lineup. The new adds also include Integrity, Disfear, Oathbreaker, Trans Am, Cobalt, Forn, Pinkish Black, True Widow and more. And while 2017 promises to be great for King Woman, 2016 was pretty good in its own right (although it was not without its own garbage). In that spirit, all four members of King Woman have shared their top 10 lists from the past year. 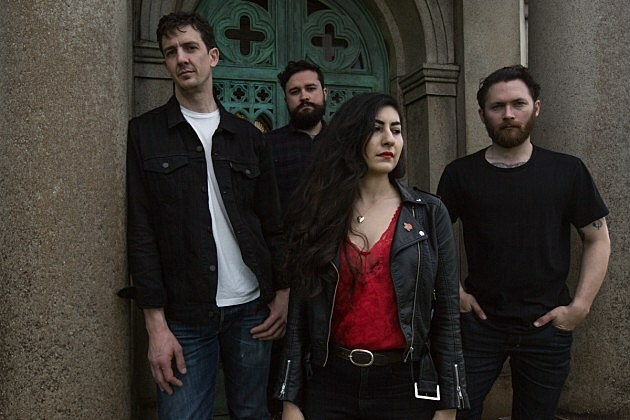 Between the four of them you get a diverse group of artists, from metal stuff like Oranssi Pazuzu, Oathbreaker, Conan Agoraphobic Nosebleed, SubRosa and Sumac, pop-leaning stuff (which vocalist Kristina Esfandiari especially seems to be a fan of) like Frank Ocean, PARTYNEXTDOOR, Blood Orange, Solange, Rihanna, Kendrick Lamar and Anderson .Paak, as well as stuff on the indie side of the spectrum like Steve Gunn, Nothing, The Radio Dept, Angel Olsen Sheer Mag and DIIV. Check out tour dates, the full lineup of Roadburn additions, and all of those lists below. 8. Warthog – Are You A Functioning Human In A Functioning World?